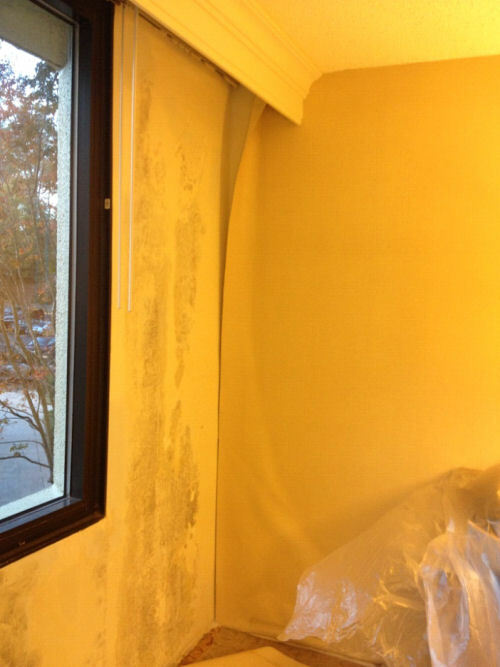 Commercial Mildew and Mold Repair Project | Hotel Damage | General Contractor Anthony & Company Construction, Inc.
General Contractor Anthony & Company Construction, Inc. 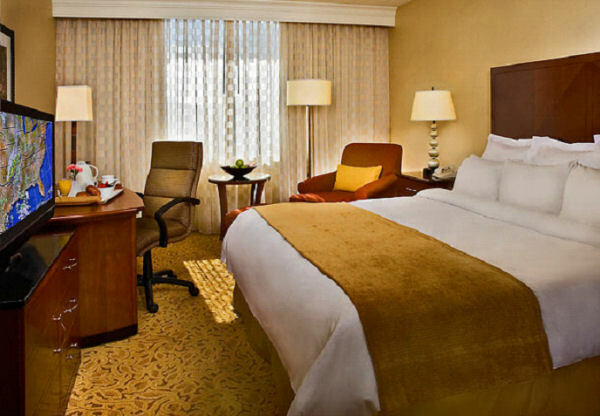 The room was cleaned, repaired, and put back in service in record time! 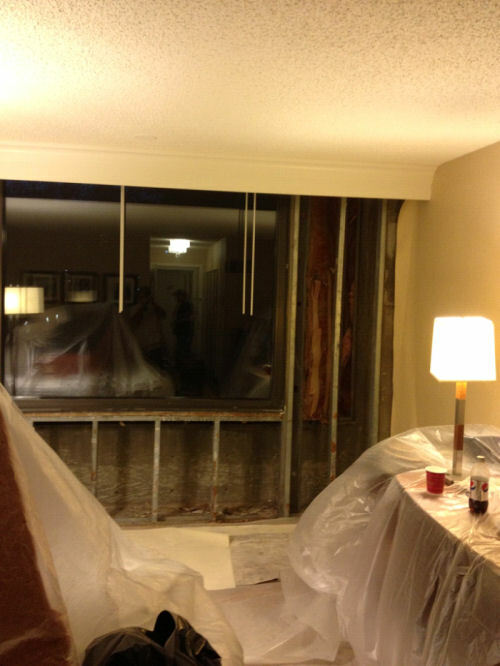 This pictures show a window wall with water damage caused by an exterior facade leak. 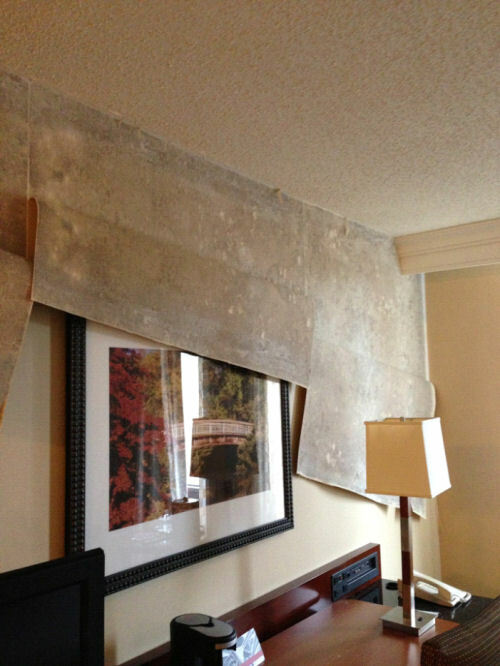 This picture shows how we begin remediation, once the exterior leak was properly addressed, we remove all damaged vinyl, drywall and insulation, pack the contaminated materials into black sealed bags and then discreetly removed them from the hotel. 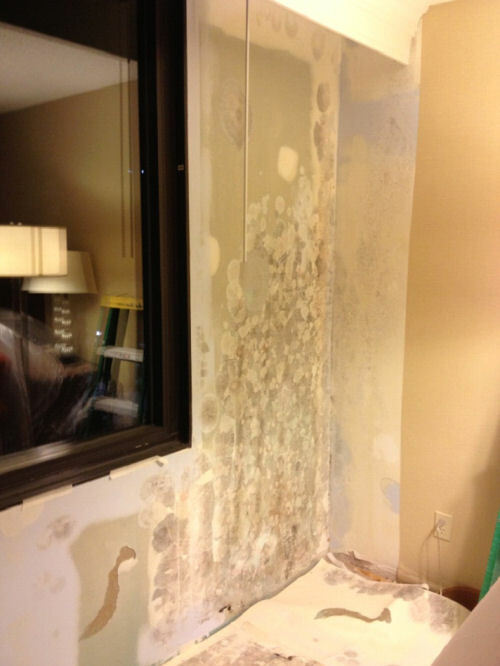 We repaired any damaged framing, treated the studs and opposing walls with a bleach solution to help prevent future mildew growth. We then replaced the insulation, installed new mold resistant gypsum panels, and after the drywall has been finished, we treated all new walls with a low VOC primer with a mildewcide additive. Once the walls are complete and ready for wallcovering, we installed new vinyl yard goods. 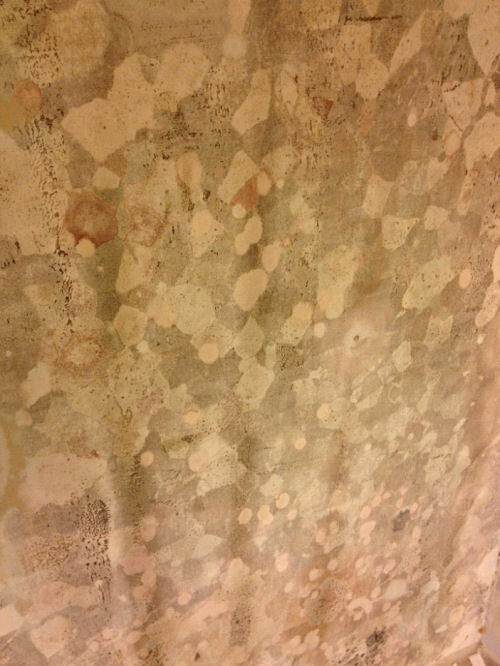 The wallcovering adhesive we use is a heavy duty, clear, strippable paste which also has a mildewcide additive. These mildewcide additives are used to help restrict any new mildew/mold growth.